MTA CSFK – Mindig jobb a több adat? A soproni kutatók által elért eredmény bizonyosan segíti majd nemcsak a Föld, de a Naprendszert alkotó égitestek gravitációs erőtereinek optimalizált, analitikus modellezését is. Kalmár, J., Papp, G., Szabó, T. (1995): DTM-based surface and volume approximation. Geophysical applications. Comp. and Geosci., 21, pp. 245-257. Nagy D., Papp G., Benedek J. (2000): The gravitational potential and its derivatives for the prism. Journal of Geodesy, 74. pp. 552-560. Papp, G., Kalmár, J. 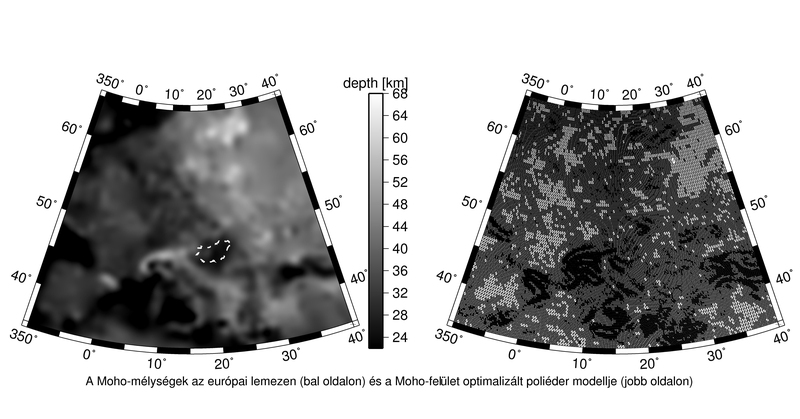 (1995): Investigation of sediment compaction in the Pannonian basin using 3-D gravity modelling. Phys. Earth Planet. Int., 88, pp. 89-100. Papp, G., Benedek, J. (2000): Numerical modeling of gravitational field lines – the effect of mass attraction on horizontal coordinates. Journal of Geodesy, 73. pp. 648-659. Strykowski G., Boschetti F., and Papp G. (2005): Estimation of the mass density contrasts and the 3D geometrical shape of the source bodies in the Yilgarn area, Eastern Goldfields, Western Australia, Journal of Geodynamics 39. 444-460.